HomeSEO / SEMPay Per ClickHow to reduce cost of your PPC Campaign? UI Enhancements: How Sound Can Play its part? 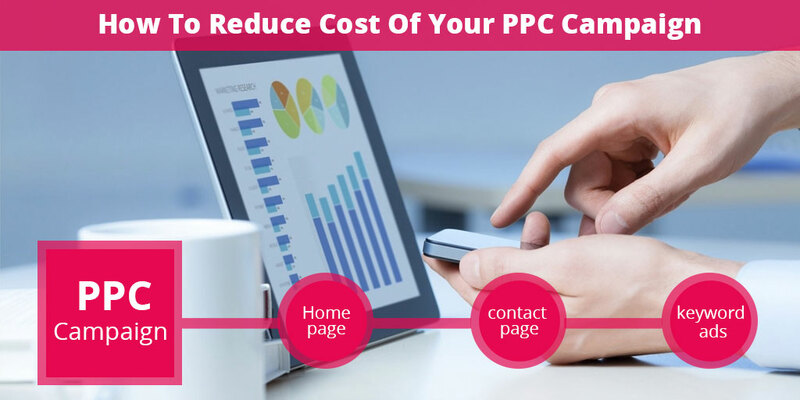 How to reduce cost of your PPC Campaign? Pay per click is one of the fastest ways of drawing potential customers to the website. By using some of the awesome tools available such as Google AdWords, Yahoo search marketing and other, business owners can display the ads of their respective businesses in the sponsored section of the search result page. In doing so they have to pay the fees if someone click on the ad to reach their site. Sounds very simple, right! It may sound so but if PPC is not executed properly then it could go horribly wrong and you will end up spending significant amount of money and that too without getting any new customers which you had hoped to gain initially. But, don’t let the dark side scare you because there is good side too and if you are new to PPC advertising then don’t worry. It is still possible to learn how to run a profitable campaign. Below are some costly mistakes which you want to avoid when starting fresh in PPC. Consider you are running a campaign for an adword “Cannon C50 digital camera” which is a product which you are selling on your site. Your campaign is all set to show the ad whenever this keyword is searched for and it is followed by an URL which redirects the readers who click on your ads. But the loop hole is that the potential customer is redirected to the site’s homepage and now he has to navigate through the site’s navigation menu to search for the exact model he was looking for. In this the already and engaged customer will be forced to leave the site. A better approach to this scenario would be to redirect the customer directly to product page. It is a good practice to redirect customers directly to the target landing page and in case there are no such landing page then create a customer page and provide user with the information which he is looking for. Some businesses send the PPC client directly to the contact-us page where they force him to subscribe for a newsletter. Such action frustrates the customer and hurts the chances of business making a successful sale. This option is also against the Google Adwords policy. In simple words you cannot force the user to fill a contact form in exchange for something which you are offering for free. In order to produce the tangible results from PPC it is advisable that one should not run the ads without testing them. In fact with the split-test ne can create different version of the same ad for different groups. By doing this, one can easily found out that which specific wording will lead to most click through. These ads are displayed whenever all or part of the target keyword phrase are matched. These ads offer great traffic potential but chances are that you may have to search the relevance at the cost of reach. For example you may be targeting the keyword “child doctor” with a broad match ad which means that your ad would be displayed whenever the query contains the keyword “child” or “doctor” so, it can also appear for queries like “doctor for women”, “tips for child parenting”, “dealing with children”. These are some of the case where you will be wasting the money. By setting your ads for exact keywords you may be sacrificing the reach but you will be able to reach the relevant audience. Most of the people in PPC fail to recognize the power of the negative keywords. These are the keywords which prevent your ad from displaying on search result page. For example by adding “government” word as a negative word in your PPC you will be able to prevent your “divorce attorney” ad from displaying when someone types “government attorney”. This is just another way of controlling the relevancy in PPC campaigns. This also requires that you devote time to find as many possible negative keywords.